“Golden October” at Hockenheim and a perfect day for Audi: The manufacturer from Ingolstadt on clinching a one-two win in the penultimate race of the season secured all three DTM titles early. Audi managed to defend the title in the manufacturers’ championship. Audi Sport Team Rosberg is DTM teams’ champion for the first time. 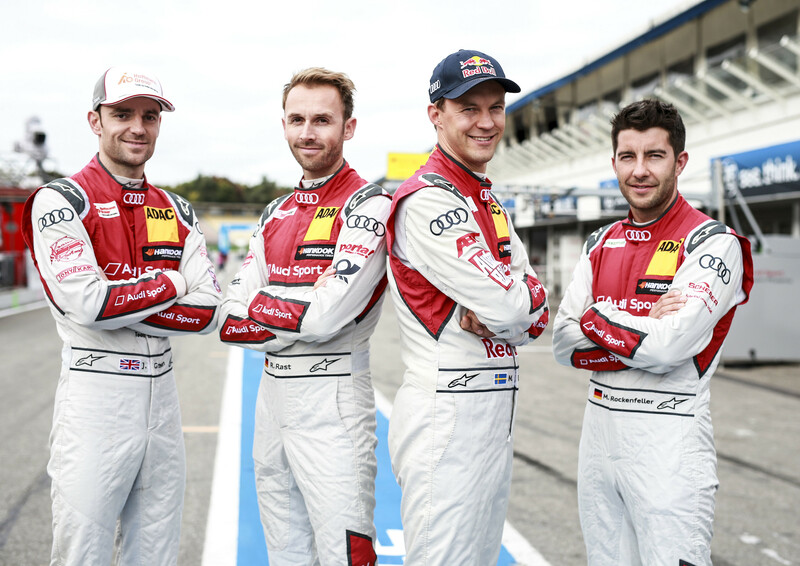 Drivers from all three Audi teams – Mattias Ekström, race winner Jamie Green, René Rast and Mike Rockenfeller – still have chances of clinching the drivers’ title on Sunday. Following cautions, Ekström and Green have received five- and ten-place grid penalties, respectively, for Sunday. This improves the title chances of Mike Rockenfeller (Audi Sport Team Phoenix) and René Rast (Audi Sport Team Rosberg) who took positions two and six on Saturday and are entering the crucial finale with deficits of 13 and 20 points, respectively. The last time Audi secured all three DTM titles in the same year was 13 years ago: In 2004, Mattias Ekström won the drivers’ championship. The last Audi DTM Champion to date and the first at the wheel of an Audi RS 5 DTM was Mike Rockenfeller in 2013. Jamie Green and René Rast will be battling for their first DTM titles on Sunday.